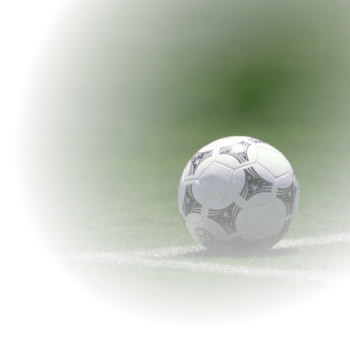 The UEFA European Soccer Championship is second only to the World Cup. Football (or Soccer to Americans who just NEED to be different) is not only the most popular sport in the world but creates an incredible fervor every four years. While we await the next World Cup in 2018, the UEFA Euro Championship is a great opportunity to watch and compete with your family, friends, and colleagues. It's important to note that the UEFA Euro format is broken up into two stages: the Group Stage followed by the Knockout Stage. 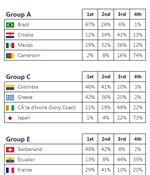 Group Stage—In the group stage, the 24 teams that qualified for the tournament are broken into groups containing four teams each. Each team competes in a round robin tournament with the other three teams in its group. The two top teams in each group, and the four top 3rd place teams, advance to the Knockout Stage. 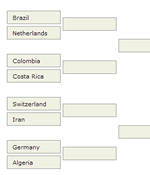 How Do UEFA Euro Soccer Pools Work? 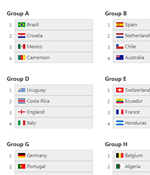 For the Group stage, pool members predict the finishing position of each team in all the groups and points are awarded for correct predictions. 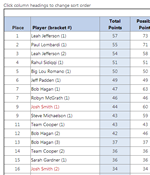 Points are awarded for each correct team ranking in each of the eight groups. As an example, if one (1) point is awarded per correct ranking, members could earn up to 24 points in the group stage (all 4 rankings correct in all 6 groups). The goal is to be the member with the most points at the end of the UEFA Euro Tournament. Most pools will include the Group stage to allow more pick variation. Add your company or organization logo to customize the look of your UEFA Euro pool. For more information, see our Brand Your Pool page. 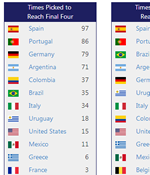 Every UEFA Euro pool hosted at RunYourPool.com includes a free, private message board. Your pool's message board, accessible only to your pool members, is a great way to communicate with members. Run your pool with no payment or obligation through the first day after your pick deadline. After the first day, there is a one-time fee to continue using the service based on the number of members in your pool. Our price is your one-time fee for the entire tournament and covers everyone in your pool! Included in the cost is the added benefit that we retain your pool information and members from year-to-year. Simply reset your pool for the next UEFA Euro tournament and have your members log back in to pick again. Start your UEFA Euro Football with us today. If you have any additional questions, please contact us via email at sales@runyourpool.com. We're happy to answer any questions you may have.